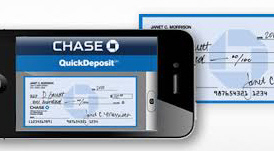 of checks or bank drafts with smartphones or tablets. are accepted by smartphone apps as deposits. ChecksNet did weeks of testing and confirmed our findings with different banks. It appears that photos taken with our phones can distinguish magnetic from non-magnetic toner. We suspect the difference is the reflective nature of magnetic metal particles contained in CheckToner. Regular laser toner does not contain magnetized metal. NOTE: MICR toner from other suppliers may not contain the correct amount of magnetized particles so checks or bank drafts printed with them may also be rejected for deposit. 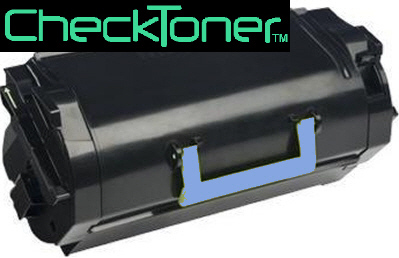 ChecksNet specially formulates all MICR toner for the CheckToner cartridges we sell. We do this to assure customers of the HIGHEST magnetic signal srength so checks will pass tests at ANY bank on Earth. On 4/16/2017, one customer reported her results of testing an app that reduces toner coverage by 25%. We investigated the Preton Print Saver. It may not work the same for all laser printers but if you try it and it works for you, please let us know. Dell introduces S2830dn and S5830dn printers. print checks for almost 1/2 cent each. .• First page out of the Dell S5830dn in as little as 4.4 seconds. 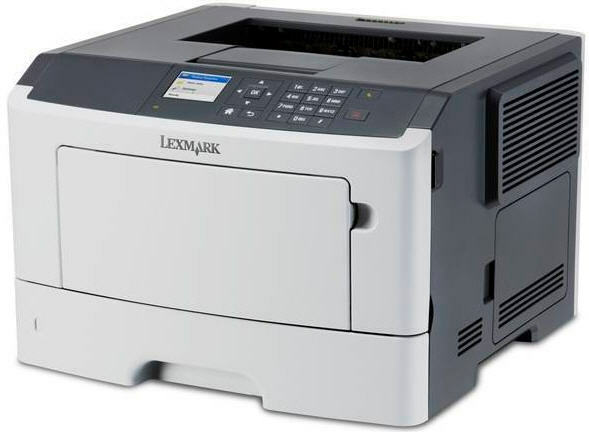 • Up to 40 printed pages per minute from the S2830dn and up to 63 pages a minute from the S5830dn. • Virtually jam free: Reliable and uninterrupted performance provided by state of the art printer mechanisms and algorithms to prevent paper jams. • Print checks for about pennies with our CheckToner™ Max MICR Toner Cartridge for Dell S2830dn which can print up to 73,440 checks. • Print checks for about pennies with our CheckToner™ Max MICR Toner Cartridge for Dell S5830dn which can print up to 156,600 checks. • 2.4 inch LCD screen on S2830dn makes it easy to navigate and adjust menu settings. S5830dn has a 4.3 inch color touch screen and can print directly from a USB flash drive. 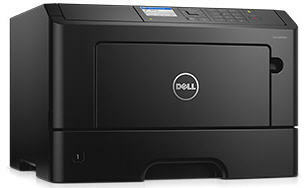 • Dell S5830dn is $999.99 but the Dell S2830dn printer is now only $279.99 with FREE 2nd business day shipping. Both can print up to 73,440 checks with CheckToner™ . MS315dn prints 37 pages per minute, first print appears in 6.5 seconds, has 2.4 color display. 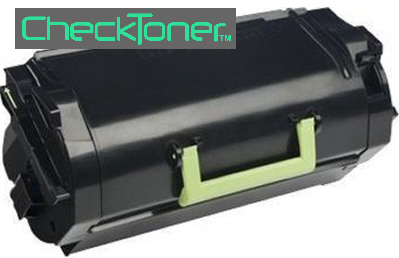 It uses MS315dn CheckToner™ MICR toner cartridge & MICR imaging unit . NOTE: Lexmark parts are NOT interchangeable with Dell parts. MS315dn printer is $299 Retail. After decades when many banks and credit unions were converting equipment to scan checks optically, they are now requiring magnetic toner again. Here's why. With inkjet printers selling for $29, criminals have been inexpensively printing counterfeit checks using stolen bank information from unsuspecting victims. Liquid ink can't be magnetized unless metal particles are added to the liquid. We tested a "supposedly" magnetized inkjet cartridge. The metal in the ink clogged the print head and was completely worthless after printing only 9 checks. Based on all the counterfeit checks in circulation, the latest ATM machines made by companies like Diebold, now scan deposited checks for magnetic content in the printed MICR symbols and numbers. If the check doesn't scan magnetically, the ATM machine REJECTS that item. The ONLY guaranteed way of magnetizing the MICR line on a check or bank draft, is by printing it with a laser printer that uses a cartridge filled with MICR (magnetized) toner. Furthermore, with many new laser printers capable of printing faster than 25 pages per minute, it is now more difficult to print checks with many printers unless the MICR toner has been specially formulated for that printer.. All laser printers generate heat because they contain a fuser wire that bonds the toner to paper using heat. Faster printers generate more heat. Adding metal particles to laser toner generates even more heat. Unless the MICR toner is properly formulated with a specific printer, it can overheat which results in damage to the printer and unacceptable print quality. This is why ChecksNet specially formulates ALL the MICR toner we supply in our CheckToner MICR cartridges. No other MICR cartridge supplier does this or has our CheckToner formulas. There are MANY other websites selling MICR toner cartridges. Most have no idea what's really inside the cartridges they offer because they are simply resellers. We have documented proof that there are MICR cartridges being sold which will NOT scan magnetically so if you choose to buy a MICR cartridge from another supplier just because it might be cheaper, you may be buying toner that will not scan at banks or retail stores. Common sense should tell you that there is a reason why Dell, Lexmark, Okidata, Samsung and Xerox refer customers to ChecksNet for our CheckToner cartridges. Despite rampant credit card fraud, NOT ONE case HAS EVER been reported to us by any person or business paying with ChecksNet. This is a major reason why many business and individuals believe that ChecksNet Software is the best way to pay or receive payments on the internet. ChecksNet Online Payment System (OPS) does the work. Your customers click SEND ORDER. Data appears in ChecksNet. Click PRINT DRAFTS. You instantly have your $$$ and a printout of every order. All you need is a website. Turn-key package is ready for you & your customers in 1 business day (weekends & holidays excluded). The Columbia SC newspaper says "If you can write a check you can use ChecksNet" when describing the ease of use. Windows is a trademark of Microsoft. All other tradenames and marks properties of respective owners.